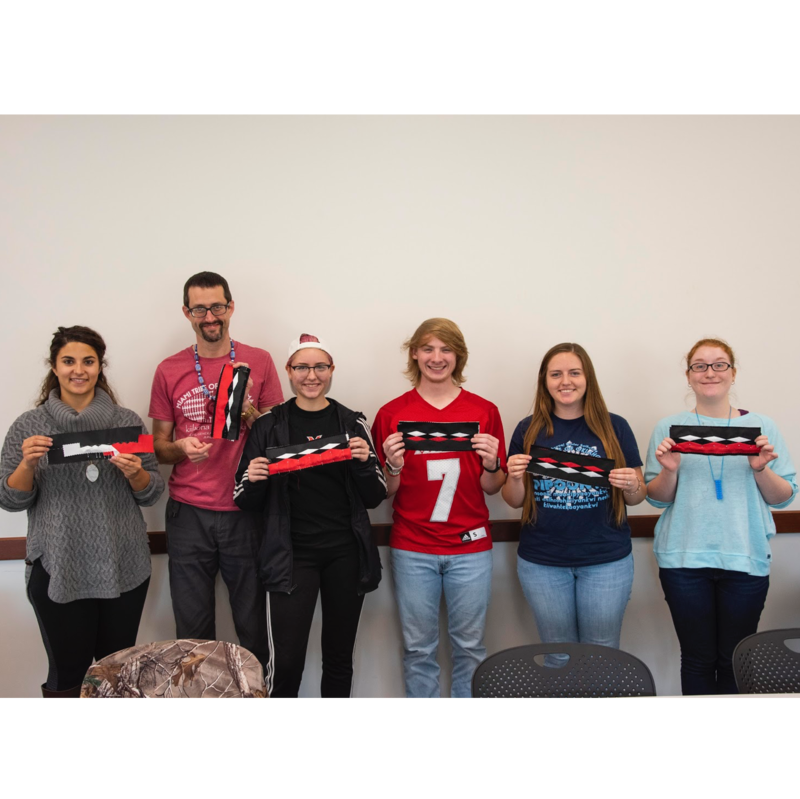 The Myaamia Heritage Logo references the traditional Miami Tribe art form of ribbonwork and symbolizes the unique relationship between the University and Tribe. 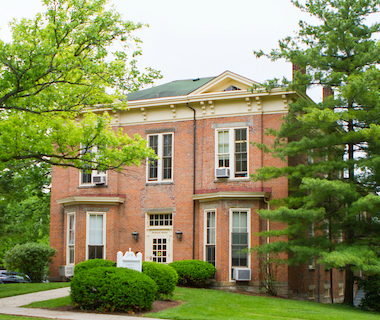 The Myaamia Heritage Logo does not replace any current symbols used by Miami University or the Miami Tribe. 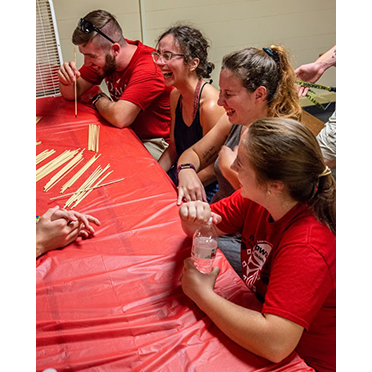 Myaamia students came together as a community at the 2018 Myaamia Heritage retreat, where they especially enjoyed playing Myaamia games. 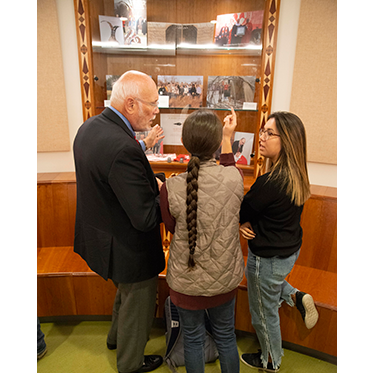 The Myaamia Center hosted the Ohio History Connection Board of Trustees, and Myaamia Students were able to share their experiences with the board members. Myaamia students and Myaamia Center staff practicing the artform of peepankišaapiikahkia eehkwaatamenki ‘Myaamia ribbonwork’. 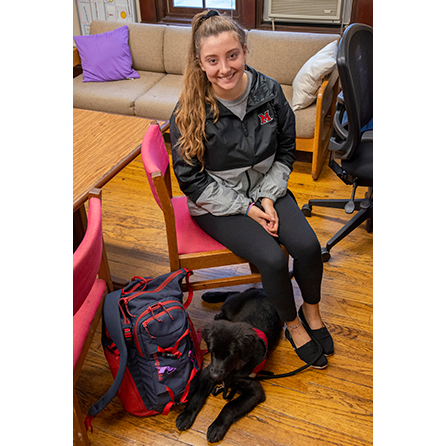 Myaamia student Allie Humenay is an Executive Board member of Miami University's Paws for a Cause organization. She is currently training her fourth alemontehsa 'puppy', 3-month old Sangrita.